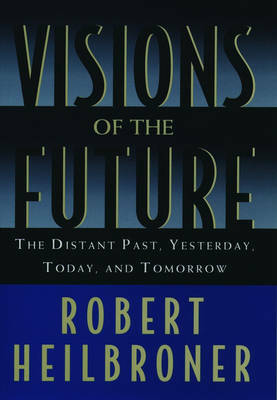 `This is an exceedingly long short book, stretching at least fifty thousand years into the past and who knows how many into the future...' So begins Visions of the Future, the prophetic new book by Robert Heilbroner. Heilbroner's basic premise is stunning in its elegant simplicity. He contends that throughout all of human history there have really only been three distinct ways of looking at the future. In the Distant Past (Prehistory to the 17th century) there was no notion of a future measurably and materially different from the present or the past. In the period he calls Yesterday (1700-1950), science, capitalism, and democracy gave humanity an unwavering faith in the superiority of the future. While Today, we feel a palpable anxiety that is quite apart from both the resignation of the Distant past or the bright optimism of Yesterday.